As if life at Crown Ranch wasn't good enough, it's about to get even better. Just two miles up the road from our stunning, master-planned acreage community, something big is happening: The highly acclaimed Blaketree National Golf Course is about to be transformed into Bluejack National, a world-class private club and golfing destination -- all under the careful design aesthetic of champion golfer Tiger Woods and his design team. 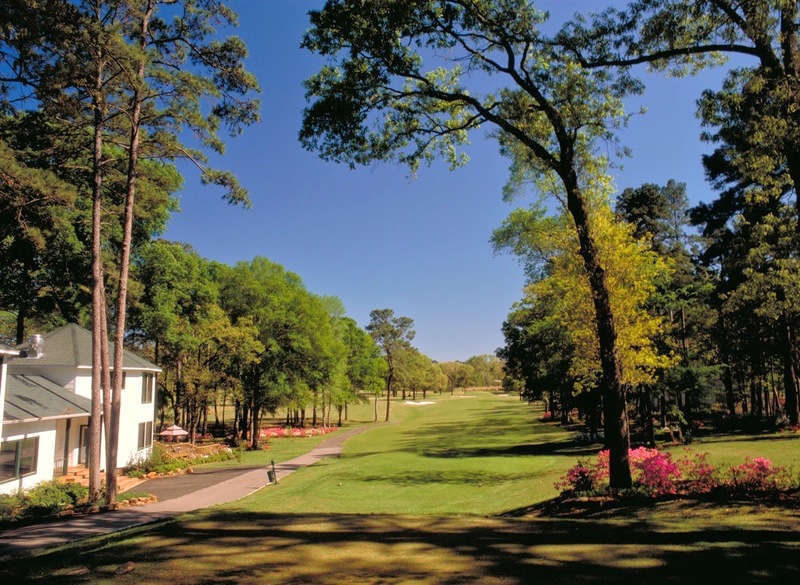 Long known as Montgomery County's must-play course, Bluejack National encompasses 755 stunning acres. The championship course will be characterized by gently rolling hills, mixed woodlands covered with mature pines and hardwoods, and splashes of color from the azaleas, camellias and magnolias that thrive in this beautiful setting. Bluejack National will offer an 18-hold course designed to the specifications of Tiger Woods, a.k.a. one of the world's best golfers. Woods' design team plans to incorporate the natural beauty of the area into a dramatic course that will challenge even the most experienced players, yet remain fair and playable enough for golfers of all abilities to enjoy. Wide fairways, natural water features, a tight mow, strategic angles and fast-moving play add to the exciting, yet classic, feel of the course. In addition to the 18-hole course, Woods is also planning a contoured short course, perfect for those need short-game practice or those who don't have time for a full game. The short course will appeal to both experienced golfers and families who simply want to play a fun, creative game. Bluejack National will also feature the Golf Performance Center. This cutting-edge facility will offer a full range of services, including instruction, testing, personal training and club fitting. Adding to the appeal, golfers at Bluejack National can enjoy a little leisure time before or after their game with drinks and casual fare at the Porch. Relaxing with a signature cocktail and a premium cigar in this casual, yet sophisticated, hangout completes the Bluejack experience. Best of all, Bluejack National is right next door to Crown Ranch! If you have questions about living in this desirable community, just contact us at 877-96-CROWN(27696).